The latest rumors coming from Korea suggest Samsung is trying to lower the cost of the Galaxy Note III phablet for the emerging markets by replacing some internals with cheaper components. To achieve a price cut, the Galaxy Note III will lose the Super AMOLED screen in favor of a regular LCD unit plus the camera will be downgraded to an 8MP one. Thanks to those sacrifices, Samsung will be able to launch the Galaxy Note III phablet at a cheaper price point in the emerging markets. According to the etnews report, those new LCD/8MP Galaxy Note III phablets are 30% of the entire first batch of Notes III that is currently manufacturing in Samsung's factories. We admire Samsung putting efforts to make the Note III available to more customers, though we hope if indeed true, Samsung would still launch the top-shelf model in those countries too so people have a choice. 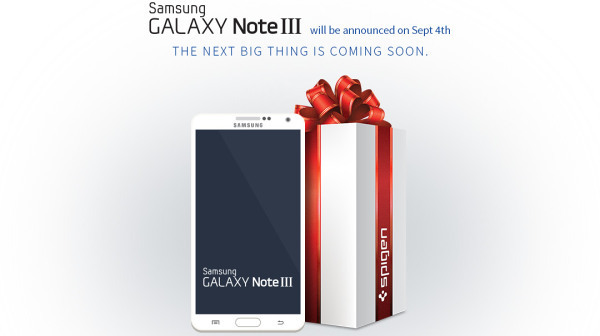 Samsung will unveil the Galaxy Note III on September 4 in Berlin and we'll be there to cover the event as it unfolds. if the cheaper one is the same dimension and same design with the premium one, then the premium note 3 will not be exclusive smartphones anymore.. Yes, Samsung is most popular with its multi Choice gadgets for universal cunsumers. Not only 2, but atleast 3-4 versions of world most poupular Galaxy Note III is welcome.